If you are at a place where you know you need to change but you wish you had someone to tag along with you, you are not alone. You want to start walking and you wish you had a walking buddy. You want to lose weight and you wish you had a weight loss buddy. You want to start or grow your business and you wish you part of a Mastermind. The problem is, you can’t find anyone around you. What to do? Well, I’ve been there. I have been the person who wanted to partake in all the things I listed. Although I was surrounded by a community of runners 11 years ago, I could not find a buddy to run with me. I needed to lose weight and I could not find someone to encourage me along the way. This is the point a lot of people quit. They think the outside motivation is everything they need to succeed. I’m here to tell you that practicing my compound motivation concept is a good idea. 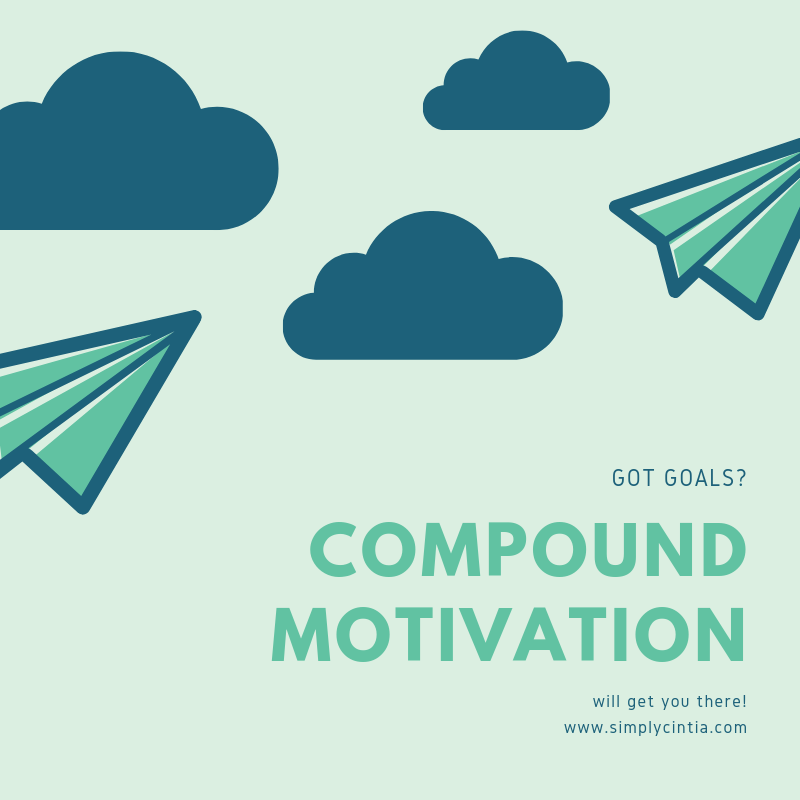 What in the world is the "compound motivation concept?" It is the piecing together of the outside resources you need to encourage you to reach your goal. When I started running 11 years ago, I did not have a running group. I practiced compound motivation by finding motivation in the online community through my blog as well as through other runners I saw on race day. Once my family and I moved to Texas, I was able to join a local running group where I could find other runners. I no longer need to compound motivation, but when I did, it was the perfect solution for me. You can apply the compound motivation to other areas of life such as mentoring. What I lacked in a running group, I had abundance when it came to mentors. It was the North Carolina years. My mentors and I kept in touch, visited each other often too. I really miss those days. Moving to Texas meant starting from zero. Mentoring relationships are not the easiest to find. I decided to put myself out there and try to find mentors I could see face-to-face. It took time and investment. I consider my early visits to my Christian counselor as compound motivation. She’s an older lady who has lived her life for Christ and was giving me the guidance I needed. After a few years, God brought the mentors I was looking for to my life. I am grateful. I hear that some women mentor long-distance. If you live in a small town and a real person is not available, I say, go for the tech option until you find someone you can see face-to-face. My business goal is to connect with a Mastermind. I tried to get connected with one but the connection did not work. I am slowly walking into a season of life where I can see this happening easily. I am currently finding compound motivation in reading books and actively taking advice from business coaches. If you have a goal but you wish you had someone to encourage you on your way, give this compound motivation concept a try. It has worked for me and I know it will work for you.